We, the Métis Nation, are an Indigenous people. We were born as a people and developed as a Nation along the fur trade routes that wove the three prairie provinces—Manitoba, Saskatchewan, and Alberta—together with parts of Ontario, British Columbia, the Northwest Territories, and the Northern United States. This is the Métis Nation Homeland. We made our living from our Homeland and its resources. We governed ourselves. We were Otipemisiwak—the free people, the people who owned ourselves. When Canada expanded into the Northwest following confederation, we were here. This is our Homeland. When Canada asserted its sovereignty here, we had a right to be treated as a nation. When Canada took our lands for settlement, we had a right to fair compensation. We got neither. Canada denied our nationhood. 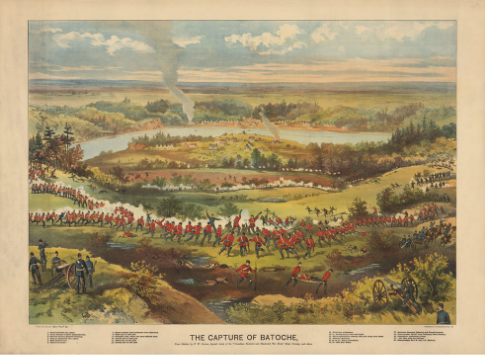 When we declared self-government—in 1869, in Red River; in 1885, in Batoche—Canada tried to break us. Canada gave us scrip—certificates that offered a false promise of lands that were systematically bought up by speculators. By the end of the century, Canada had reduced us to being squatters in our own land. We—the Otipemisiwak—were now being called the "road allowance people." The way in which the Government officials treated the just demands of the Métis was inexcusable and contributed to bring about the rebellion. Had they had votes like the white men or if, like the Indians, they had been numerous enough to command respect and overawe red tape, without doubt the machinery of the government would have functioned for them; but being only Halfbreeds, they were put off with eternal promises, until patience ceased to be a virtue. It was callous and cruel neglect of this portion of the population that led to armed insurrection. The Métis Nation within Alberta has a long history of organizing and political participation. Since the end of the 19th century, Métis in Alberta have stood together and pressed governments to respect our Métis rights and treat our claims fairly. 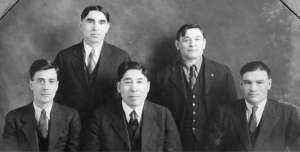 When the Métis Association of Alberta (the predecessor of today’s Métis Nation of Alberta) was first formed in 1928, its express purpose was to lobby the federal government to ensure that Métis land rights were respected. We have kept with that work ever since. Through the decades, we have had a singular focus: to build a strong Métis Nation embracing Métis rights. For decades, however, Canada refused to deal with us. Canada told us that scrip had extinguished Métis rights and that the Métis were the province’s responsibility. In the 1970s, when Canada first adopted policies to address the outstanding claims of Aboriginal people, it excluded the Métis. We persisted. The First MAA Executive. Back Row L-R: Peter Tomkins (Vice-President), Felix Callihoo (Vice-President); Front Row L-R: Malcom Norris (Vice-President), Joseph Dion (President), James Brady (Secretary-Treasurer). Glenbow Archives PA-2218-109. In 1982, we made real progress. Section 35 of Constitution Act, 1982 now identifies the Métis as “Aboriginal peoples of Canada,” and it recognizes and affirms the Métis’ Aboriginal rights. In the wake of this recognition, Canada and Alberta were supposed to negotiate with us to define and implement our rights. But these negotiations stalled and failed. Canada continued to deny Métis rights, reject Métis claims, and refuse to acknowledge federal jurisdiction for the Métis. We turned to the courts. R. v. Powley: In 2004, the Supreme Court of Canada confirmed that the Métis Nation. has full-fledged Aboriginal rights that are protected by s. 35 of the Constitution Act, 1982. 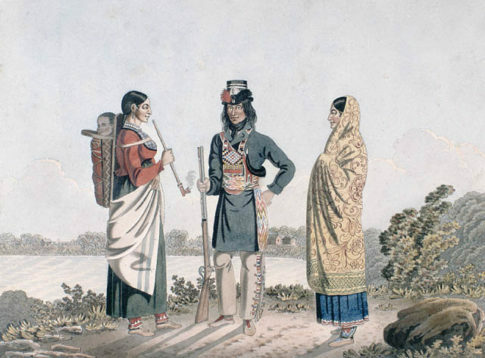 Manitoba Metis Federation v. Canada: In 2013, the Supreme Court of Canada confirmed that the Métis Nation can successfully pursue claims against governments for failing to uphold the honour of the Crown. Daniels v. Canada: In 2016, the Supreme Court of Canada confirmed that the federal government has jurisdiction for Métis in the same way that it does for First Nations and Inuit. In the wake of these decisions and in the face of mounting political pressure, Canada finally agreed to negotiate towards a treaty with the Métis Nation within Alberta. The purpose of these negotiations is to advance reconciliation between the Métis Nation and the Crown by working towards constructive, long-term agreements. This is the opportunity for which we have fought for decades—a chance to negotiate the recognition of Métis rights and resolution of Métis claims with the federal government. The Métis Nation of Alberta (MNA) has been engaged in these discussions since the fall of 2016. On November 16, 2017, Canada and the MNA signed the Framework Agreement for Advancing Reconciliation, marking a major milestone in the negotiations process. To learn more, read about the negotiation process. Why is self-government important for the Métis Nation within Alberta? Why does the Métis Nation of Alberta need a constitution? Is the idea of a Métis Nation of Alberta constitution new? Who is leading the negotiations process?